(Reuters) -- The UAW union said it expects Volkswagen Group to announce soon a policy change that would allow for union representation at the company's U.S. plant in Chattanooga, Tennessee, where the union has faced challenges organizing workers. 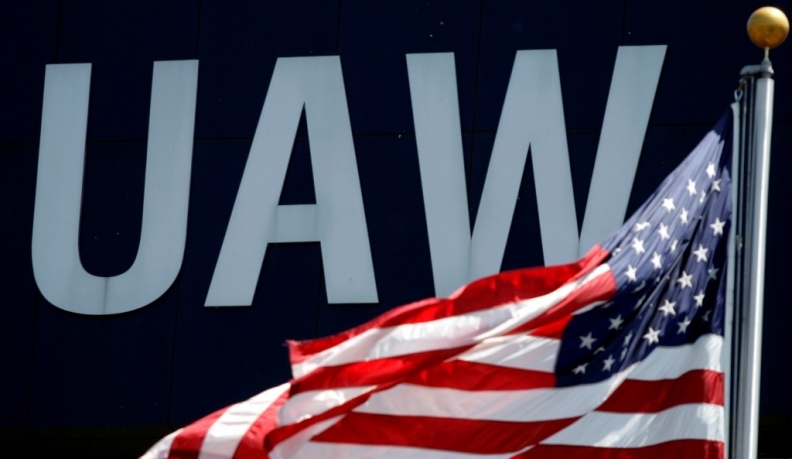 Earlier this year, the UAW lost a vote to represent about 1,500 workers at the Chattanooga plant, but the union still claims it has the support of a majority of the employees. "It is our understanding that Volkswagen this week will announce a new policy in Chattanooga that will lead to recognition of Local 42," the union said in a letter to its voluntary members on Monday. "We await details from the company on this policy." Volkswagen did not immediately respond to a request for comment on the letter. If the UAW succeeds, this will be the first foreign-owned auto assembly plant in the U.S. South where it has bargaining rights, but it wouldn't be the first transplant automaker in the U.S. with a unionized workforce. The UAW represents workers at the Mitsubishi Motors plant in Normal, Illinois. The union said its expectations were based on discussions with the company in Germany and build on a letter of intent signed in September by the UAW and two top German labor groups to organize jointly the workers at the plant. The two German groups are IG Metall, the powerful union that represents VW workers in Germany, and the Volkswagen global works council, which has blue- and white-collar members from the automaker's plants worldwide. The Chattanooga plant is VW's only major factory without representation on the global works council. UAW Local 42 in Chattanooga in October elected officers to liaise with VW plant officials in an effort to win formal recognition for the union. In its letter, the UAW said it had made a commitment to withdraw objections lodged against the company at the National Labor Relations Board. The National Right to Work Committee, a nonprofit group that opposed union representation at the plant, was skeptical about the promises in the UAW's letter. "I think they are trying to make it seem like unionization is inevitable at the plant," National Right to Work spokesman Patrick Semmens told Reuters. "It doesn't mean anything is really changing on the ground in Chattanooga." The union hopes that by showing success in Chattanooga, it will convince workers at other nonunion plants to join. It has waged a similar organizing campaign at the Mercedes-Benz assembly plant in Vance, Alabama.